We had a Lilly lead conference at Lilly's school today. It was so great seeing how much she has grown physically, academically and personally. Jeff and I couldn't be more proud. Now, if she would quit rolling her eyes at me, talking back occassionally and not minding, she would be perfect. Oh well, I must learn to cope. Hard, but it must be done. The house is coming along but it doesn't appear that we will be moving back in any time soon. The kids new bathtub. Not connected to anything, but it is there! 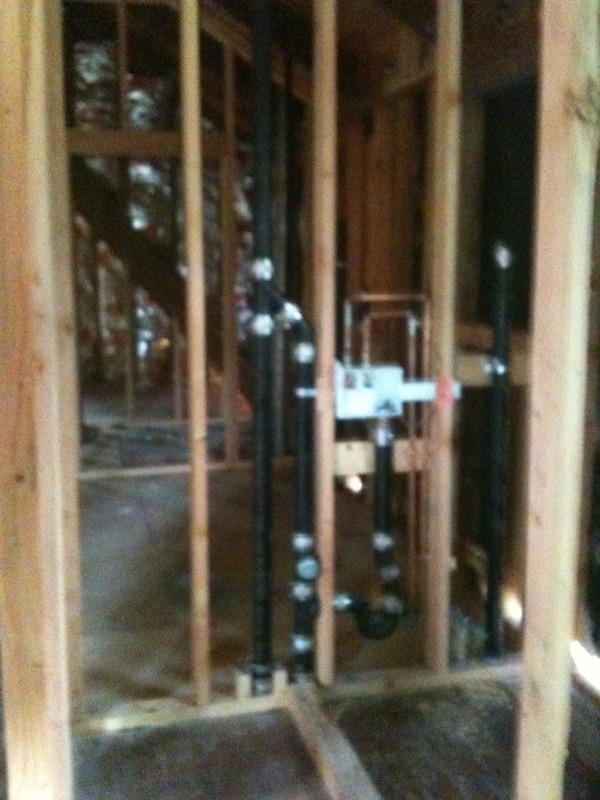 In the foreground you see the new laundry room. 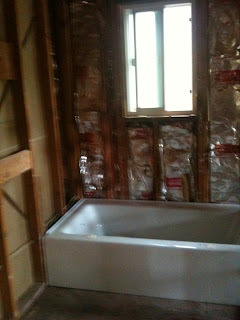 Right behind it is the new master bath. 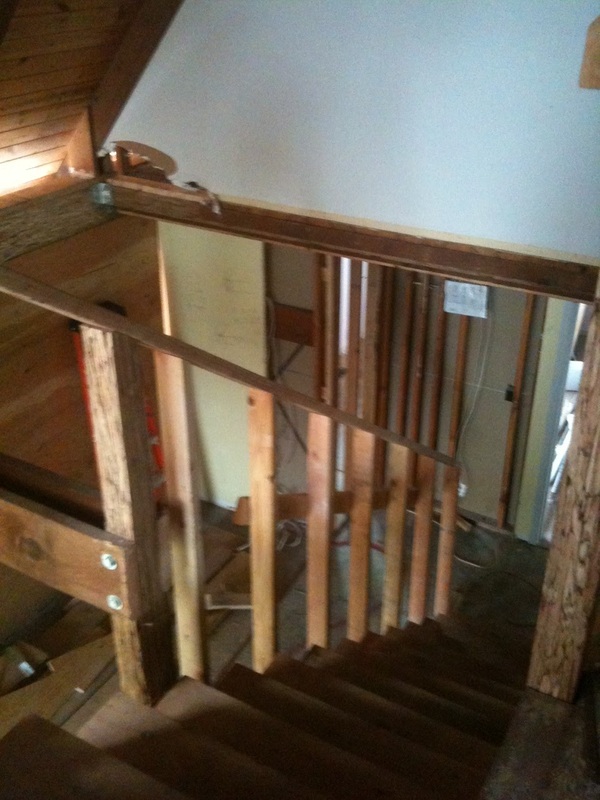 The stairs from previously second floor, which is now the third floor, to the now 2nd floor. There were some structural issues to overcome but those are now all fixed and work is moving forward. I am excited about the progress. We still have a ways to go, but at least we are moving forward at a good pace. home progress is looking great! Can't wait for the next update. Amazing things going on in there! girl. I believe all good reports are in her future! !